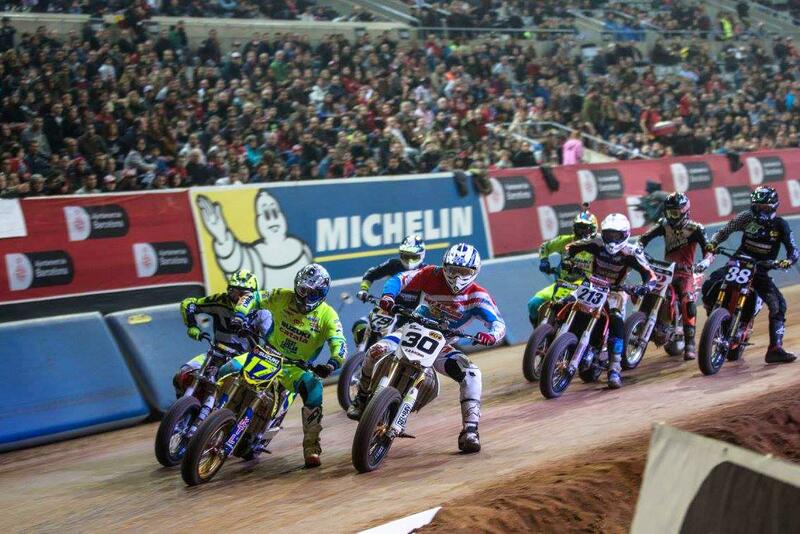 This year’s Superprestigio flat track race in Barcelona saw a bad night for the five-man British contingent, with only Oli Brindley making it out of the heat stages and into the open class finals – only to have his night in turn ended by someone else’s crash. Admitting afterwards that it had just been ‘one of those days’ for the four-man group of DTRA championship regulars, former Superfinallist Brindley was nonetheless upbeat with the event afterwards. “You’d go a little bit wide and someone would just ram you all night, and it was just one of those nights. It’s all good fun, I suppose – or is it? Haha. It’s good for me and my family though it’s nice to bring them along for such a good event. And while Brindley made his class final, tangling with other riders cost both Alan Birtwistle and George Pickering a chance to show their true form. Rookie Toby Hales walked away with a broken bone in his wrist, while in the Superprestigio class, World Supersport racer Kyle Smith also failed to advance from the heats.